sorry for the trouble, do you still have a link to /screenshot of this? To my knowledge, we don’t offer any subscription based licenses. see attached image. i bravely bought the software using a credit card and it was not presented as a recurring payment. i think the problem is your payment provider tries to force a recurring payment with paypal. this makes pdf architect look scammy which is a reputation is has somewhat somewhat anyway due to having no functionality without paying for modules on the 'free' option. time for a new payment portal? Thank you very much for the screenshot, will look into this right away. I was able to reproduce the issue in a test purchase. We have been working together with Upclick for some years now and I assume this was setup incorrectly by accident and will be corrected shortly. The free modules do have some functionality, you can move/delete/rotate pages inside the PDF, also they include a snapshot tool and virtual printer. Feb 2nd and Paypal still wants to go for a recurring payment? How long is a business day in Malta??? it turned out to be there on purpose. Since there is no subscription available for PDF Architect, this will actually not automatically renew or purchase anything, it only means that you won’t need to log in to PayPal if you decide to purchase another PDF Architect product. 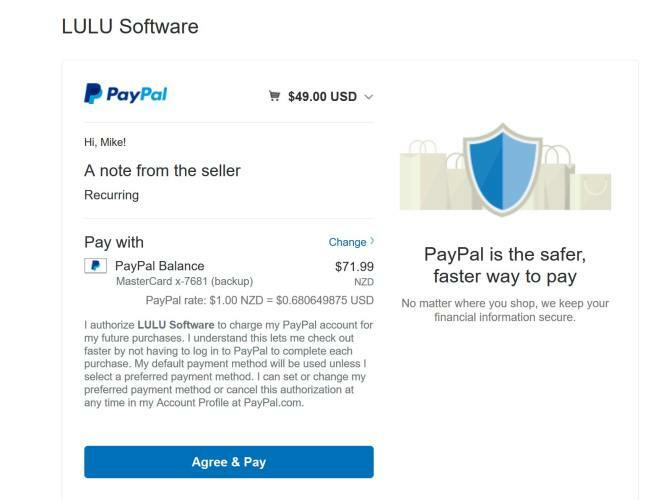 Please use one of the other payment methods if you don’t feel comfortable with the PayPal situation. Thanks Robin! I used a Prepaid Visa card now which still had ~60 Euros on it so I bought the Pro version which was on offer. So I’m already sorted, thanks again! 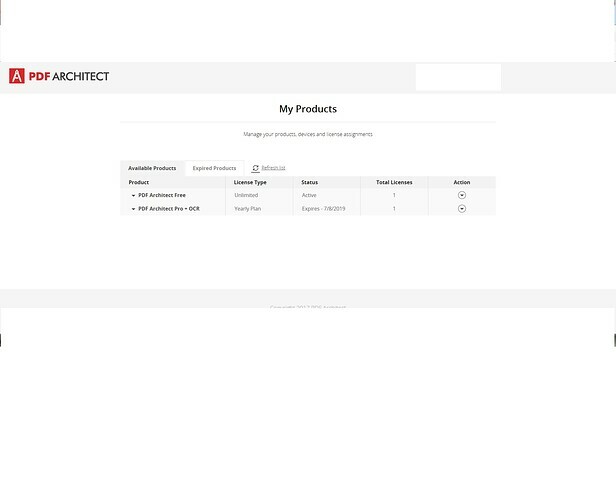 Why lie to people I just bought the 6 version of pdf architect and it says yearly and I had to sign into my account and it verified that on top none of my modules are activated I have a screen shot to prove what I am saying and am going to my bank to have them cancel my card at the earliest time I can I sent a request for a complete refund of my money and got my email from you all saying my case number has been received don't deceive people you all have a great product but you let America greed destroy that product so long for perpetual licenses. Sorry for the trouble, but why accuse me of lying? The information in the thread is simply outdated, PDF Architect 6 was released after my last response on this thread... You can cancel the subscription by contacting the PDF Architect support, if you purchased within the last 30 days. Of course, all functions should be available after logging into the account you used for the purchase, if they aren't available instantly, please try if logging out and back in again once. re the lying accusation: Robin he's probably just a bit upset as Upclick continues to mis-represent your product and makes it look scammy. I can understand that. Not exactly a new issue BTW, so I assume you are happy with it? BTW i haven't updated to '6' as i found 5 would mangle my MS office-generated pdfs that had drawing objects in them, I know I should open a thread but...?? I bought PDF Architect 5 plus ocr on February 18th 2017 almost one year before the new version stable came out on 3/18/2018 before the new version came out they were planning that new subscription based crap and if you worked for them you should have knew and said that instead the previous versions were not like that and instead you say oh I don't know why its that way and said the new 6 version would have that also I tried logging in and logging back out to no avail I was not calling you a liar I was calling the company I worded my reply wrong sorry for that but when you Google and click and click buy the new version it don't take you to that spot it takes you to the one for purchase of the subscriptions or plans only you have to read the small below them the print really who the heck does read them when that when all the previous versions was that way the ones with the perpetual license ones was that way also according to your plan and the perpetual licenses ones we pay the full price of 139.00 dollars while you give the plans the upgrade lower price of 89.00 the version im talking about is architect with ocr I paid 65.00 dollars for the version 5 the 6 version is more than double the version 5 by price so the perpetual license user gets screwed now you all say you don't give refunds I looked at that and where you help page sends me I send my email and last 4 digits of my credit card number and viola give no place to get a refund on my product so again 30 day guarantee how good is that offer but no way to refund thanks. We have to go to upclick and that has no place for a refund on my price thanks again. Also I was never sent an email to upgrade my product to the version six I get product popups that tell me that and they take me to the same place the subscription based products. The recurring payment checkbox in PDF Architect 5 however doesn't mean you purchased the subscription model, so I didn't feel it would help to mention some future development at that point. The subscription really started with PDF Architect 6. But Upclick and the PDF Architect support should offer an easy way to get a refund in any case. I shouldn't have taken it personally, sorry for getting a bit upset there. Regarding the pricing issues, obviously the perpetual edition is more expensive than the subscription based one, since you can use it for as long as you like. If you update each major version though, 2 years of subscription are actually cheaper than previously purchasing an initial version + update (not considering promotional offers) and also allow you to use PDF Architect on up to 3 devices, which is something many users have asked for in the past. There still seems to be some issues with the entire update workflow, after purchasing the update you should receive easy instructions how to update & activate. It could also be a very trivial thing like a typo in the email address used during the purchase, which would lead to you not getting any email and Upclick support agents not being able to find you in their database. Did you use the email from your profile for the purchase? I will contact Upclick, ensure you get the refund and try to find out what went wrong here. Everything from previous cases should be sorted with Upclick, so far all issues seem to have been rather individual ones than general issues. Not sure what happened in the current case, yet. Do you have any specific issue in mind which hasn't been resolved? If you can send me one of the mangled PDFs I will look into the issue. I have contacted Upclick for the refund and additionally would like to give you a free PDF Architect 6 perpetual license to make up a little for the trouble. I have sent you an email with the license key and download link. You will most likely need to remove the currently installed PDF Architect 6 and reinstall it with the installer linked in the email, since the perpetual version requires a slightly different installation to support license keys. I believe I have a free PDF Architect. Got screen offer to upgrade to #7. Then noticed in very fine print that it was a subscription. The forum responses seem wholly inconsistent. So: (1) Is PDF Architect per the offer actually an annual subscription? (2) If it is not renewed can one still continue to use the product with all #7 features without restriction, but without receiving additional updates - or can it not be used at all, or does it revert to the free edition? the answers may seem inconsistent to some extent since people have asked similar but not identical questions relating to multiple PDF Architect versions in a single thread.